Officials of Elections Cameroon in the Centre Region seek to maximise available opportunities before the close of voter revision exercise on August 31, 2016. 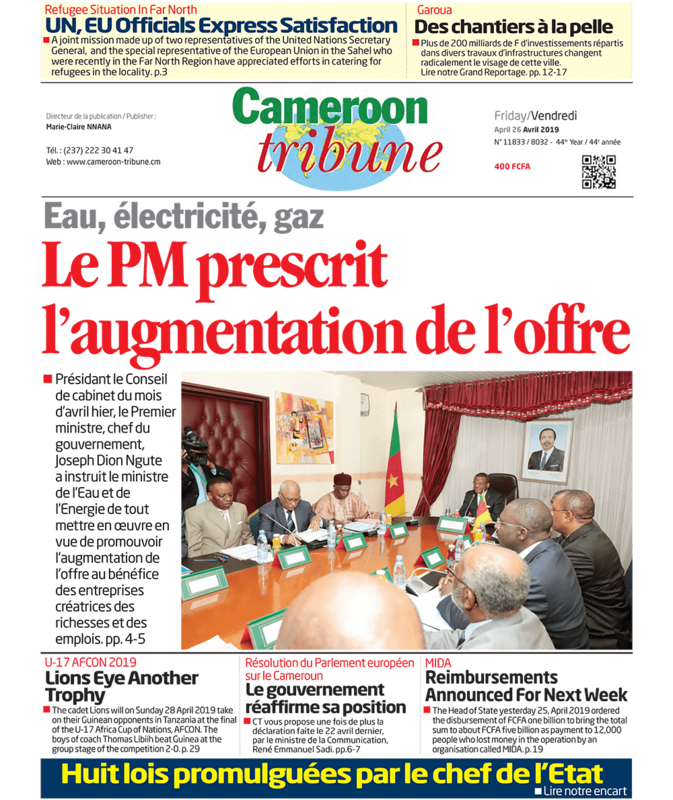 As the countdown to the close of the revision of voters’ list on August 31, 2016 narrows, local officials of Elections Cameroon in the Centre Region are multiplying strategies to get more potential voters registered. One of such campaigns is a proximity registration targeting mostly religious communities in the Region. The campaign launched one month to the end of the voter registration for 2016, according to ELECAM’s Centre Regional Delegate, Dr Joséphine Angèle Essama, aims at reaching out to many people at the same time. To her, many Cameroonians are still out there especially in churches and mosques that are yet to register on the voters’ list. “There are still one million electors we must find and most of them are in churches and mosques. Some Cameroonians have as itinerary ‘house-to-prayer’ ground or market”, she said. So far, the campaign has been fruitful as an average of 4000 voters are registered every week in the region. She recalled that 500 Cameroonians of voting age were registered at the Brisqueterie Central Mosque in Yaounde in just a week. Not only do the worshipping sites serve as a rallying point for many especially in the rural communities, it also provides an opportunity for cheaper sensitisation. From this week, the Etoudi Slaughter House neighbourhood which harbours a great number of Moslems and the Essos Mosque will be the main targets. Apart from religious gatherings, ELECAM registration teams are also placed in some major road junctions in the city. The proximity campaign is expected to be more intense during the last week with mobile teams to comb all nocks and crannies of the neighbourhoods to get last minute potential voters register. The Centre Region as at press time, counts over 84,500 registered voters.